Our first ever book club meeting is only ten days away! If you haven't already, head on down to the library to pick up a copy of Margaret Atwood's classic science fiction novel, The Handmaid's Tale. Then, pop on over to your nearest purveyor of wine and spirits for a bottle of bubbly because we're christening our inaugural meeting with champagne. * (Just don't try to break the bottle over your monitor. No one likes a sticky keyboard.) 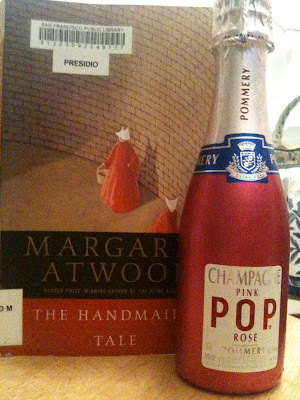 We'll be imbibing and discussing the novel on Thursday, September 15 so get ready to join the conversation! 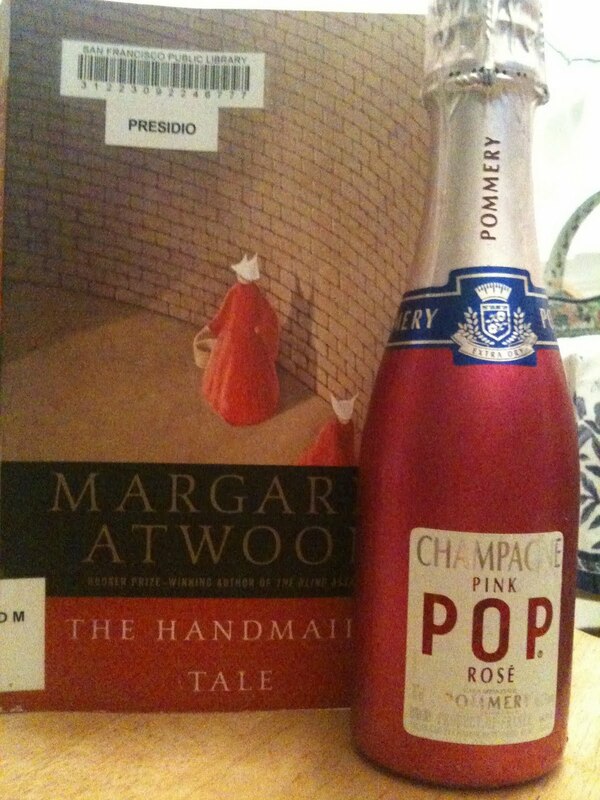 *No, the irony of pairing such an extravagance with The Handmaid's Tale isn't lost on us. Just think of it as a celebration of a "freedom to" instead of being in a society that only provides "freedom from." I've resisted reading this book because I know it will really piss me off. But sometimes you need to get PO'd. I watched the movie version, but I'm sure the book is better. I'm in. Gonna pick up my copy today.